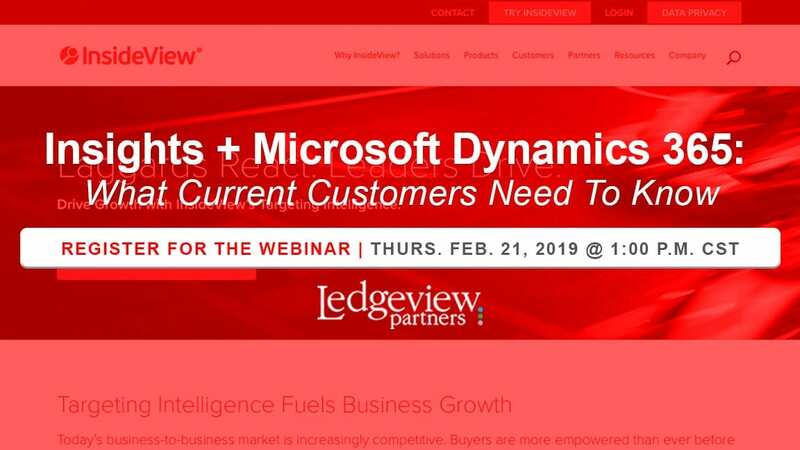 Join Ledgeview Partners and InsideView’s own Alliance Success Manager, Michelle Horn, as we dive deep into the topic of: “Insights + Microsoft Dynamics 365: What Current Customers Need to Know”. Within this FREE live webinar, we will provide industry news, insights, and top tips as to how you and your team can prepare for the changes that are coming up with InsideView later in 2019. Microsoft has recently announced that the Insights feature, powered by InsideView, within Dynamics 365 will not be available for new customers after Jan. 16, 2019. Current customers will only have access until Aug. 15, 2019, at no charge. After that, users will have to take action to keep using Insights. 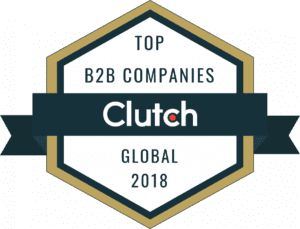 Even if you can’t attend this webinar at the specified time, if you use Microsoft Dynamics 365 and Insights, we highly encourage you to sign up. Preparing ahead is the best thing you can do to respond to changes and make the best choices for your organization ahead of Aug. 15, 2019. We look forward to having you join us later this February to cover this dynamic topic. If you’re interested in learning more about Insights before you join us, read, “Comparing Insights vs. LinkedIn Sales Navigator for Smarter Selling with CRM”.